FWIW, they appear to have learned from the mistakes of Ultimed and Mini en Mai... The marks in this race are really clearly defined. The only thing I can think of that might be unclear is whether or not you could go North of Sardinia on your way from Buoy 2 to Gate 3. I'm guessing you could, and if you can, then there isn't anything vague about the visible course. Mark 2 is also a gate, with the other end on the E side of Palermo bay, so you can't sail around Sicily. No other marks/gates (so far). Passing back via gate 1 should not unwind it after passing Gate 2. Most of the current races would fail if that was the case. Many thanks for your job to give us the polars. I've got a problem with downloading the polars of Monaco Series : a error message when trying to download them. Is it normal ? It runs good for all the other races. Anyway, can I ask you which usage of the pregenerated files you are having ? Were you using single-sail polars, or consolidated ones ? Have you considered using the CSV Generator as well, or you didn't know about it so far (or you don't know how to use it) ? Is it a tottaly non paying race? what do you mean by "totally non paying race" ? I thought it's not possible to buy full option, but it is. Good start for me, but, I hit a small island and loose many time. On-board routing is allowed, outside routing (on the ground) is forbidden. What happens if nobody can finish the race in the allocated time? It closes in a couple of days and we are still a long way from the finish line. I seriously hope that ridge isn't going to overtake us like the in game forecast says it will! Where could I find the overall duration of the routing shown ? Is the hull polish option included in calculations ? Can it be selected / delected ? WP problems, bug or feature? Don't we need to tell Zezo which tack/gybe we are on? Ignore gates feature reversed on JV? The secret of of the day's date! Gaps in the windmodel in JV, windspeed down to 2 knts ? Need advice from the one who knows ! La Revanche - Glitch in VR software? Popup ads every 60 seconds? Differences between too tracks depending track duration. What is "Timeshift" option ? Are Clipper Race cheating ! One Desig- Racing or Pay to Play? Who is "Donald Trump" ? 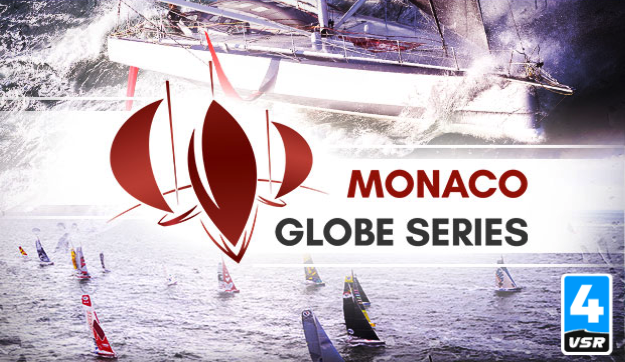 VOR finished but what about race result ? Les Sables- Les Azores-Les Sables: Same Regatta, two legs. Pay again..???? I can't reach the Zezo-map of Clipper. 982 points for 64th position in last VOR leg. Any hidden gates in Volvo 10 or Clipper 11? Any ideas why wind changes radically in the midnight UTC weather update for coastal regates? Do or can they manipulate boats? Finished but did not finish!!! Auto angle not working, or game change? Is there a group of Non paying sailors, or interest to set one up?! I guess I haven't been paying attention. Falklands Islands? Are you kidding me??? Nemo Point on VOR 7/11? Something seems to go wrong in the classification of the leg 7! tack executed in client and than ignored minutes later by server !! How many cards needed to get 1 waypoint. Penalties ... either times or percentages? Number of participants in Clipper race? Missing Pack After Setting Up? RORC Carribean 600 Race - shorter routing interval? New Start Time for VOR 6! 2 HOURS earlier!!!! Hull polish is degading with time ? JVT - What happens if I stop my attempt ? Clipper 7 - UPDATE ? 1000 miles a day ? Jules Verne Trophy - How do I get home? VR sponsored by Kim Jong-Un? Cheating, for those who know not what to do! Routing limitation/bug or my misunderstanding? ZEZO is out of service ? Question: How to remove destination point on zezo map? Changer l'heure? / Change hours? VR Map and auto navigation - WYSIWYG? Finnally some changing in stealthing. Can a cyclone be overtaken? Question: Way to view both VOR & Clipper race maps? Love it . . .
Is it possible to get all FRENCH sailors to write in ENGLISH so the rest of the world can read all comments ? Dashboard TWA - Green / Red? How to set a destination mark on smart phone? Copyright 2009 by ZEZO.ORG. All Rights Reserved.